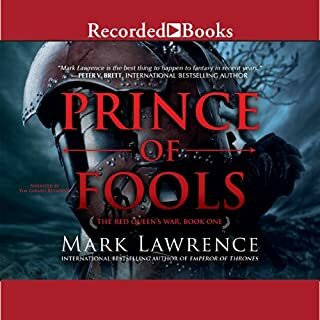 Mark Lawrence did not disappoint yet again, and Heather O'Neill is an artist when it comes to narration and keeping you fully attentive and engaged in the story. The Books of the Ancestor are set in a futuristic planet, to which humans have moved. While this world has magic, humans are humans, so the world does not lack the same human tendencies to do good and bad (more bad than good), and does not lack the darkness we have seen in Lawrence's past books. If you are a fan of dark fantasy, where the story does not revolve around only magic, I would highly recommend this book. 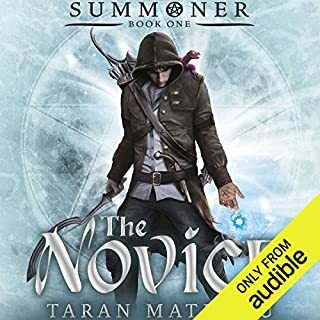 If you are looking for an audiobook, look no further than this one! Great world and character building. The story is engulfing and hard to put down. The performance by the reader was excellent. Can’t wait to listen to the next instalment. excellent story. a little hard to get into for the first chapter or so but the writing and reading style really grow on you. 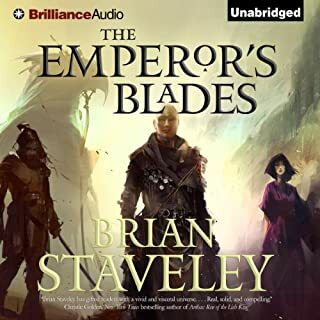 Amazing Start to a Fantasy Series! I followed because I thought that if I turned back then I would keep turning back, turning away from every other fear, from every new thin, and that I would never leave that place to which my father had brought me. I would live, toil, grow old, and die, all within sight of my mother's hut, and the ice would remain forever a line glimpsed in the distance, and I wouldn't matter to the world nor would it matter to me. This was one of the best Adult fantasy books I've read in a very long time. I have so many positive things and thoughts about this one. I highly recommend it if you’re looking for a good magic system, badass nuns, and women who know being vulnerable can be strong as well. Everything that Nona has suffered through has made her stronger - and recognize that there is always room to love and be loved. I liked her understanding that people can be your friend even if you never outright say it and that she is so loyal to people. Nona is strong, young woman who does everything she can to protect those she cares about. I liked that even though she is clearly strong and going to be a part of the prophecy, she still needs training and education to get her to exactly where she has to be. I loved seeing how these girls started by being somewhat enemies and then becoming friends. I think there were good dynamics between all the female characters in this one. There were interesting relationships and they were expertly explored in this without making the females into stereotypes or taking away their womanness, which is something I was a little concerned about since this is written by a man. The magic system and the way the world building works is incredible. It was one of the most creative ones I've read in a while. I am excited to see how it grows in the rest of this series (since the next book is already out!!!). If you are looking for a good fantasy read, this is the book for you! 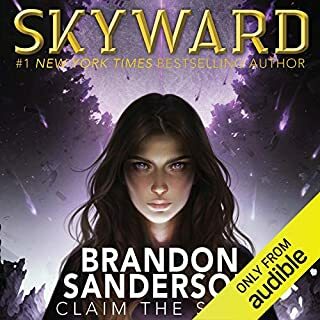 I highly recommend it if you are looking to transition from YA to Adult fantasy - or just enjoy Adult fantasy to begin with. You'll love Nona, the badass nuns, and that this has a lot of action! The synopsis sounds a bit cliche, but it’s all pulled together very well and doesn’t feel well trodden. The narration is excellent, and the world itself, once you learn about it, is really damn cool. Mark had me engrossed from start to finish. 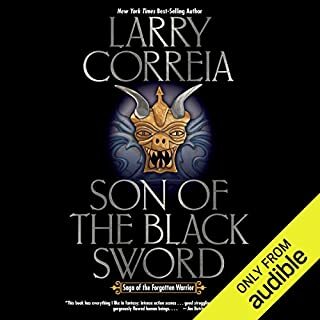 I was pleasantly surprised when the book was not in the same dark world as Prince of thorns. I enjoyed the story as well as the performance of the narrators. The main character has a distinct voice that fits perfectly her character. 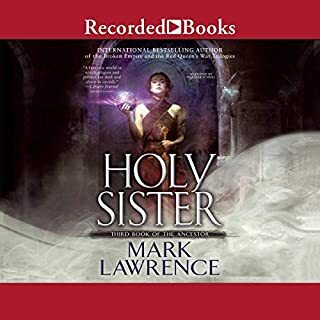 An excellent offering from Mark Lawrence, one in which he departs from the brooding grimdark tone of the broken empire setting in favor of a lighter (though still dark) coming-of-age story about a young girl, Nona, with extraordinary abilities that she doesn't understand. The writing is consistently excellent, capturing the world of Abeth with wit and often colorful strokes of language. The middle section of the book drags slightly, but is punctuated with spurts of action to support the emotional character development that goes on between the girls. 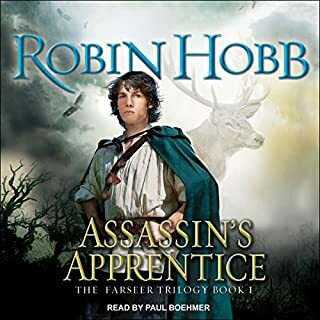 If anything, I enjoyed the book even more because of the middle third's more relaxed pace and emphasis on the daily lives of the young novices contrasts nicely with quick beginning and dramatic ending of the story. As for the narrator, don't listen to the people who say she ruined the book. The narration fits perfectly in tone and delivery. Each main character has a distinct voice and mannerisms. The narrator's performance of Nona deserved much praise, and I adored her Irish accent. 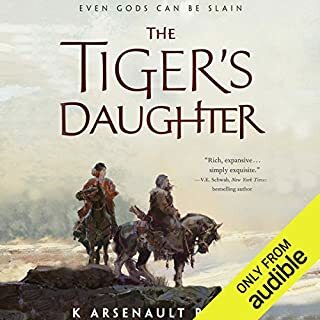 As anyone who listens to a lot of fantasy audiobooks can tell you, the generic male British narrator gets old, and Heather O'Neil's colorful performance enhances the text and makes it vastly more memorable. 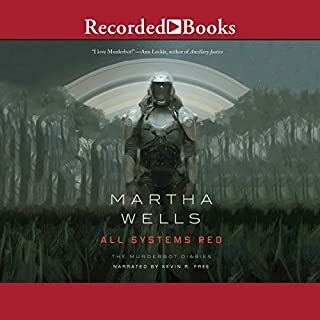 Overall, I would highly recommend this audiobook. 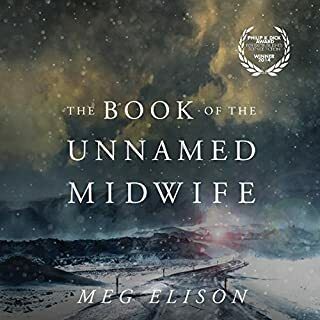 Engaging and well-performed, the story of the Sweet Mercy Convent will stick with you long after the final line is delivered. 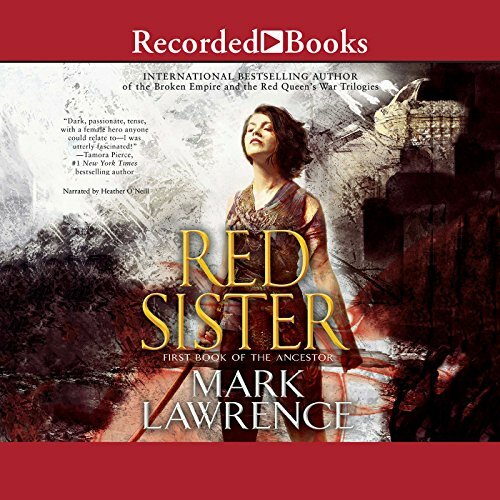 Red Sister is a fun read, not too dark but certainly not PG either. The setting is rather unique, I'm definitely intrigued and can't wait to see where it goes. I don't like to give too much away about plot but I will mention one thing that I appreciated. Our hero is no Mary Sue. She is nonetheless deadly and rather awesome. Lawrence did a great job of finding that balance. 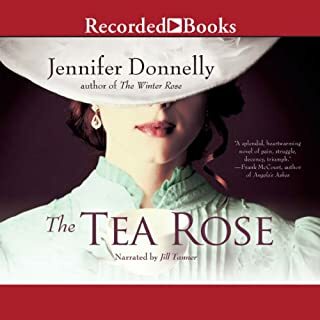 I was really impressed with Heather O'Neil as a narrator. Along with a nice reading voice she used distinct but believable voices for each character. I really hope to hear much more of her work! Ill start by saying Ive read a literal ton of books and I almost never leave reviews. I loved the hell out of this book! Well, I love all of his books, but still! I think this was by far the best writing he's done yet and I can't wait to see what unfolds in the next ones. So Much Love for Mark Lawrence!!! I raced through this book. Raced. I didn't want to stop. There was such an awesome mix of action, character building (&amp; development), and... just... storytelling! I was there, with all Nona's novice sisters as she told and retold her story. I felt like I was just another character in the background watching her. I found the pacing was just right. I was never bored or left waiting for something to happen. I do, however, often accept and even look for authors to spend time developing characters through dialogue or ... less adventurous moments. These are not boring or dull in Red Sister. Heather O'Neil's narration was wonderful. I delighted in listening to her give voice to Nona's thoughts and actions. I look forward to listening in the rest of the series! Hard to finish, but I made it! This book had such good reviews that I picked it up during the Black Friday sale. Unfortunately, I found the majority of the book quite dull and hard to get through. The only part of the book that I really got into was maybe the last two hours. Even still, the death of characters didn’t resonate with me at all. I wasn’t sad, just ready to move on. 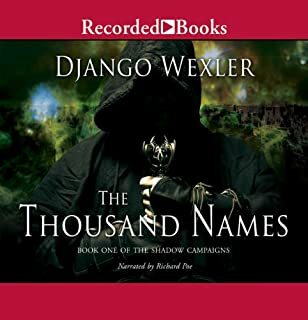 Some reviews I read put this on par with the Kingkiller Chronicles. Having completed the book, I find the comparison to be offensive. This isn’t even in the same arena. Other reviews said that the all female cast might have made men a bit out of touch with the characters, but I disagree. I’m a woman and I felt out of touch with the characters. I think it is just the writing. I’m looking forward to getting to a new book that will, hopefully, leave me feeling much more satisfied with my experience. Finishing a book should never feel like a chore, but this one was for me. I’m glad other enjoyed it; however, that love does not transcend to all readers. If you buy it, I hope you enjoy it. I won’t be terribly surprised if you don’t though. 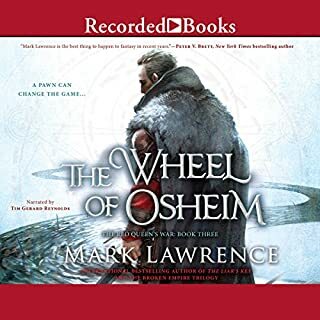 It pains me to say that this book didn't grab me like Lawrence's others, but it's undeniably true, and I think it should be said because many other reviewers seem to think this is his best work. I'm not one to question a reviewer's opinion, and I'm glad they all loved the book, but my opinion is more lukewarm. Lawrence is a great writer, and as some have noted, this book suggests he continues to increase in skill, but to me, the story just wasn't particularly interesting, and it seemed awfully familiar. One reviewer called it Anthony Ryan's Blood Song, but with girls, and I have to say it's an apt comparison. I really hope my mediocre view isn't due to the main characters being female rather than male, but I did find some of the girlish dialogue tiring. Reminded me of the Wheel of Time and the hours of female-only interactions, which also wore thin. 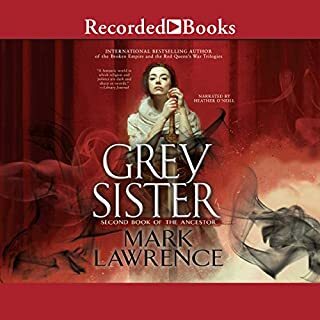 Ultimately I think I must prefer more of a mixed cast (all guy books are equally problematic), and I really missed Lawrence's bizarrely twisted writing found in the prior series. It would likely be inappropriate here, as the book focuses on young girls, but I guess that's the problem. Or my problem. 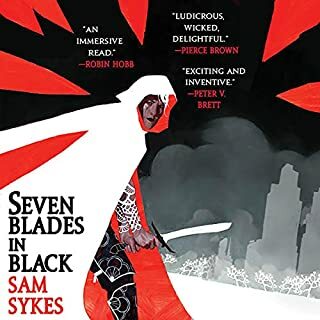 Still, it's a solid book, and I could see the next in the series being better, as the protagonist is definitely interesting and super badass, so the next installments could be more like his other books. As for the narration, she seemed solid to me. 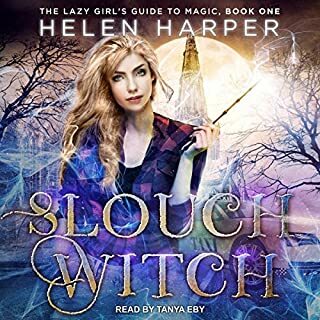 Strong voice acting, and despite what one reviewer said about stilted pauses, I think her pauses were perfectly timed to represent the flow of the dialogue. I'm not sure what people disliked so much about the narrator, other than her voice being slightly neutral the accent didn't detract and she spoke well and was easy to understand. I have listened to much worse. As to the book, the characters were varied with good personalities and the plot is good. One of the best narrators I've heard. 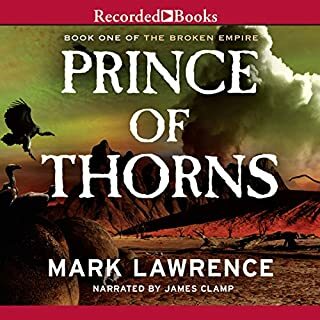 This is different than Mark Lawrence's other series. It doesn't have as many references to old world technology and has a more midevil feel to it imo. 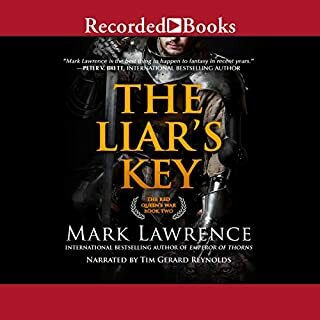 For me, it's my favorite book 1 of Mark Lawrence's previous books. I LOVE fiction. about battle clerics. And the sisters of sweet mercy are extremely badass. Lastly, I thought Heather O'Neil did an amazing job. I always have a transition period when I listen to new narrators, but once I got used to Heather I really appreciate the picture she painted. I loved this book. It was definitely a different flavor of Empire from the Broken Empire series, but it had the same combination of elegance and edginess. I'm only disappointed in the fact that I've finished it and the next installment isn't available yet. I enjoyed the hell outta this book, and I'm pretty picky. Well really well done.